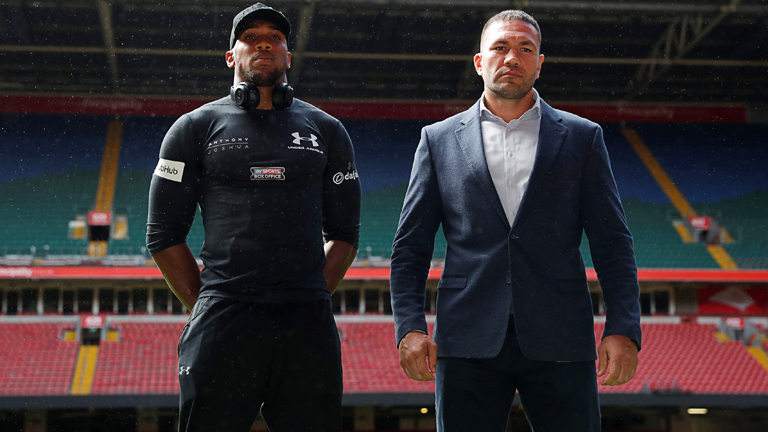 The Principality Stadium, Cardiff, Wales, is to play host to the Heavyweight title clash between champion Anthony Joshua and challenger Kubrat Pulev. The Matchroom promoted event on the 28th October, will become the most attended indoor boxing event in UK history. A crowd of 70-80,000 fans is expected to witness Joshua defending his IBF & WBA ‘super’ World Heavyweight titles. Pulev is the mandatory contender with the IBF. 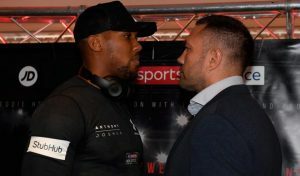 It seems a long time ago that the champion overcame Wladimir Klitschko in an epic see-saw battle, that is a fight of the year contender, but it was only back in April. Watford born Joshua, 27, holds an impressive record of 19-0 and has stopped every man he has fought professionally. The big punching orthodox fighter has already defeated the likes of Charles Martin, Dominic Breazeale & Eric Molina in defense of his World title. The London 2012 Olympic Gold medalist, in the Super Heavyweight category, has had a meteoric and explosive rise up the rankings and now sits at the top of the division. Kubrat Pulev, 36, hails from Sofia, Bulgaria. He’s a two-time European champion, with a record of 25-1, 13 KOs. He’s defeated quality contenders in Alexander Dimitrenko, Alexander Ustinov, Tony Thompson and Dereck Chisora. His only defeat came in 2014; when challenging Wladimir Klitschko, for the IBF title. That night in Germany, Pulev was stopped in five rounds. Pulev isn’t the most mobile of heavyweights but can spring into an attack, normally throwing three shots and then holding. He has respectable power but isn’t regarded as a big puncher. He stands upright, with a loose guard, is rangy and often looks to launch his attack from distance. His chin has been good but he kept falling apart when nailed by Wladimir Klitschko. He’ll be slightly shorter, than the 6’6′ Joshua, but will stand tall. He’s done the full twelve rounds, on four occasions, and he’ll likely be looking to take this fight into the latter stages. He made the mistake of engaging with Klitschko early on, so will probably be more cautious, and patient, against the powerful Joshua. Orthodox Joshua is becoming the complete heavyweight. He has a tremendous left jab and a big, powerful right hand. He’s likely to get some rounds out of a cagey Pulev. The Watford man will want to stamp his authority on the fight early, as he usually does. There’s no point allowing Pulev to hang around, as he’s a dangerous competitor. I have a feeling that, even though, Pulev will try and maintain distance, time his attacks, and work his way into the fight. His poor defense which leaks holes will be penetrated. Once, Joshua finds a home for the right hand, it’s the end of the fight. I’m taking the champion to regain his crown by the middle rounds, though anytime sooner wouldn’t be a shock. Back in October 1993, the old Cardiff Arms Park stadium played host to the WBC Heavyweight title clash between Lennox Lewis and Frank Bruno. On that rainy night, in front of approximately 35,000 – Lennox Lewis brutally stopped Bruno in the seventh, of a hard-fought competitive contest. It may again be a rainy night, but the new, larger, stadium will have the retractable roof closed. I was at the fight in 1993 and that was a tremendous occasion. I’m expecting the same in 2017. Tickets available via StubHub. The fight will also be available live on Sky Sports Box Office.